Say hello to a new, mindful youWould you like to feel less stressed, live more calmly and be more content? The simple ideas that mindfulness teaches can help you achieve all these things, by allowing you to live in the moment and embrace all that life has to offer. 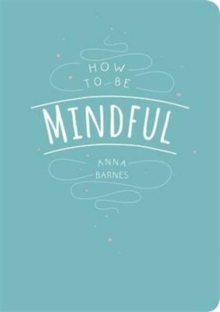 Bursting with tips, centring statements and activities, How to Be Mindful will provide you with everything you need to make every day full of gratitude and peace.